Food product development : 4 Best practices to follow ! 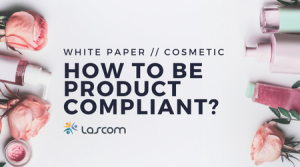 Streamlining your product development process is essential to ensure that your deadlines are respected and your products hit the shelves on time. It is also important to create a smooth process as it can make the difference between the success and failure of your products. As a Food and Beverage professional, you need to implement the best practices that will considerably improve your product development, thus, minimizing the possibility of product failure. You should focus on three different areas when looking for ways to optimize your new food product development. Firstly, you should focus on your existing products as well as any product ideas submitted throughout the years. Secondly, you need to understand the processes of each business unit and the workflows specific to them. Finally, you need to consider your company’s processes as a whole – your internal and external collaboration. Focusing simultaneously on these three areas will provide you with the best results; however, it is not always an easy task. What slows down your food product development? Several internal and external forces can negatively impact your food product development, such as the rapidly changing consumers’ tastes which forces you to quickly adapt to their shifting demand, hence pressuring you to innovate at an ever-increasing rate. It also requires you to minimize, as much as possible, the time between the decision to develop a new product and its actual launch as most customers will not wait for your product to be ready; they will instead opt for another company that meet their needs immediately. Another challenge is the feasibility of a product. 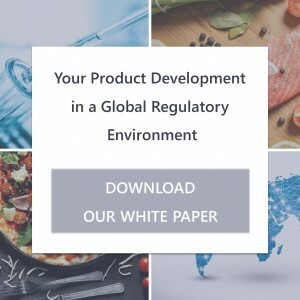 Indeed, before starting to develop a new food product, it is important to understand if it is actually feasible, in terms of regulations, available resources, costs, etc. Then, from an idea to a finished product, several steps need to be performed, such as analyzing and comparing the different ideas, creating a workload, assigning tasks to the right stakeholders, sourcing ingredients, and so on; all these steps are lengthy to perform. Without the appropriate tools and methods in place, it is challenging to quickly screen your ideas and streamline your processes throughout the entire product development cycle. Four best practices are essential when optimizing your processes. The two first ones being the centralization of your product information, and the definition and automation of your processes. Indeed, to properly manage the development of your products, you need to centralize all product information in one place – i.e. : implement a unique source of information using a common knowledge base (i.e. : database). With the ever-increasing volume of information that is often spread out among various stakeholders, it is essential to gather and consolidate all these data in the same place to save time when looking for information as well as not waiting for others to provide the data needed. Secondly, to have a better overview of your entire product development, it is important to clearly identify, define and structure the different steps required to develop your products. It also helps you identify, for example, potential disruption points and bottlenecks, and apply corrective measures before they actually happen. However, the most important part is the automation of these processes. Indeed, you will gain valuable time setting up automated stage gates, where each step is being automatically triggered when the previous one has been completed, and notifications automatically sent to the person in charge of the tasks. This automation allows you to eliminate manual tasks and ensure a smooth product development. Controlling the critical stages of your food product development and continuously analyzing your business are additional practices that you need to take to further optimize your product development. 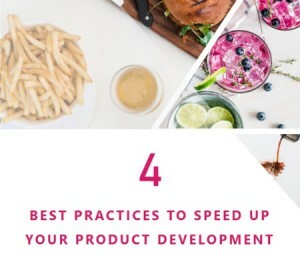 Download our “4 Best Practices and to Speed up Your Product Development” to learn more about the other two best practices and get recommendations on how to choose the right food technology for your needs. Implementing these best practices is essential to speed up your food product development. However, you can find it confusing to know which methods and tools to choose, and how to implement them. 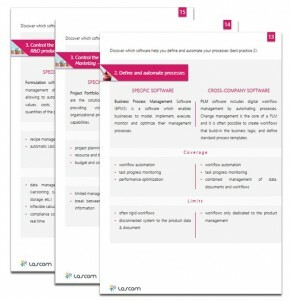 That is why, we offer in our guide an overview of different approaches and a comparison between the software dedicated to specific needs, such as workflow or formulation management, and a cross-company solution tailored for the entire product development – i.e. 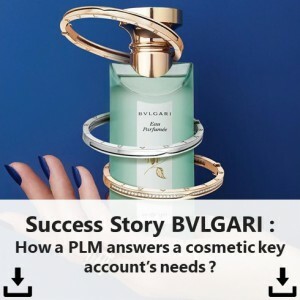 : a Product Lifecycle Management (PLM) solution. 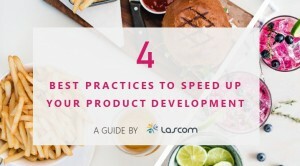 Share the post "4 Best Practices to Speed up your Food Product Development"